On November 19. 2016, ChildAid Asia Symposium - Friendship without Borders was held in Singapore. It was designed as the follow-up symposium of "Future Ready Asia" and to think what we can leave for children in Asia through ChildAid Asia concerts. 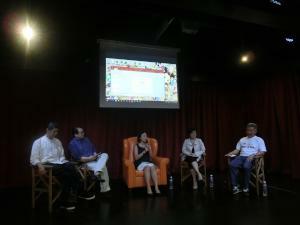 The speakers are all producers of ChildAid from Singapore, Malaysia, Indonesia and Japan. There are many opinions raised by audience, and some suggested to create virtual concerts and network by using social media.